ROAD TOWN, British Virgin Islands, May 11, CMC – The British Virgin Islands (BVI) Friday said it would continue to engage directly with the United Kingdom as it seeks to have London reverse the amendment to the Sanctions and Anti-Money Laundering Bill that the 15-member regional integration grouping, CARICOM, said could negatively impact the economies of some of its associate members. 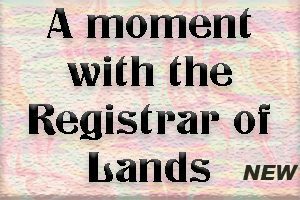 Premier Dr. Orlando Smith in a statement said that it is now more than a week since the United Kingdom Parliament amended the legislation to impose public registers of beneficial ownership on the Virgin Islands and other Overseas Territories. “My Government continues to consider this a top priority for the Territory and to actively evaluate the implications of that decision and explore all available options,” he said. CARICOM has said the bill would have an effect on the financial services of the overseas countries and territories including Anguilla, Bermuda, British Virgin Islands, Cayman Islands and Turks & Caicos Islands. 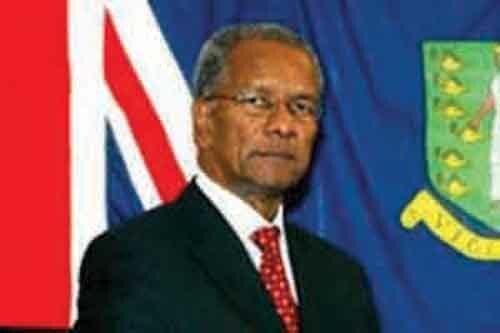 In his statement, Smith said that there are “two principal matters” before his administration, the first of which is “what we have recognised as a fundamental breach in the constitutional relationship and modern partnership between the United Kingdom and the Virgin Islands nurtured over the past half century”. He said this relationship evolved from direct colonial rule to a progressive constitutional partnership, where the democratically elected BVI government “has clear responsibility for some matters and the United Kingdom has theirs. “These responsibilities are spelt out in the Virgin Islands Constitutional Order, 2007 and while it may be that this relationship allows for certain decisions to be made on behalf of the Territory by the United Kingdom, the decision the United Kingdom Parliament seemed to make on 1st May is not one of them. Smith said his administration will also continue to engage directly with the United Kingdom government in the hope that right and reason can prevail. He said the second “principled matter” before the government is that “we cannot avoid the fact that this decision poses a significant reputational and economic threat to these Islands and its financial services industry. Smith said he was encouraging all residents to remain as “engaged and inquisitive as you have been in the issues surrounding last week’s events. “Significantly, this heightened level of unity and engagement is manifesting itself in the community with the organisation of a public non-partisan march on 24th May. Smith said he has witnessed and received tremendous support and empathy for the BVI’s position from persons from all walks of life and from all corners of the globe. “I say thank you again to all our supporters, well-wishers and clients for your continued confidence in these Islands,” he said, adding “the Virgin Islands will remain an international standard bearer for financial services. We will stand unified as a Territory and fight the United Kingdom Parliament’s decision for all the violations and injustices that it represents”.